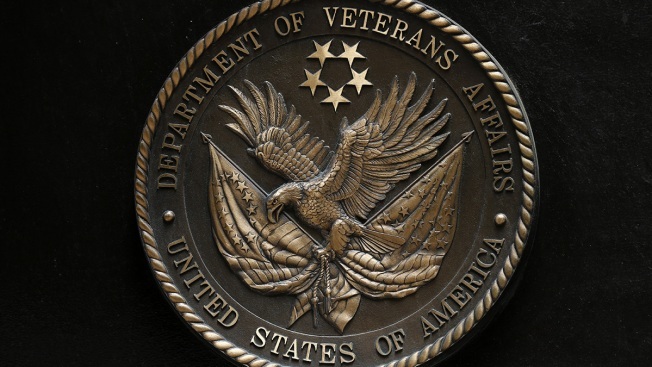 FILE - The seal of the Department of Veterans Affairs building in Washington, June 21, 2013. An Air Force veteran was in serious condition on Tuesday after he set himself on fire in front of the Georgia Capitol to protest his treatment by the U.S. Department of Veterans Affairs, according to state and local law enforcement officials. John Watts, 58, arrived at the government building before noon wearing a vest lined with firecrackers and flammable devices, then doused himself with flammable liquid and lit the fireworks, according to the Georgia Department of Public Safety. A Georgia trooper witnessed the event and put out the flames with a fire extinguisher, NBC News reported. Watts was taken to Grady Memorial Hospital in Atlanta, where he told officials that he was an Air Force veteran and had immolated himself to call attention to the VA system, which had apparently failed him, the department said. In a tweet, the Atlanta Police Department said he was in serious condition.